GEORGE NEWS - Following protest action last night, the N2 remains closed from the Garden Route Mall offramp to Pacaltsdorp bridge. Travellers from Cape Town are advised to take Glentana offramp onto R102 and via George back onto Courtenay Road, Knysna Road and back on N2 past Garden Route Mall. Travellers Knysna side to travel through town via Knysna Road. Traffic flow into and out of Thembalethu has also been stopped, on request of SAPS. Sporadic incidents of stone throwing flared up again. 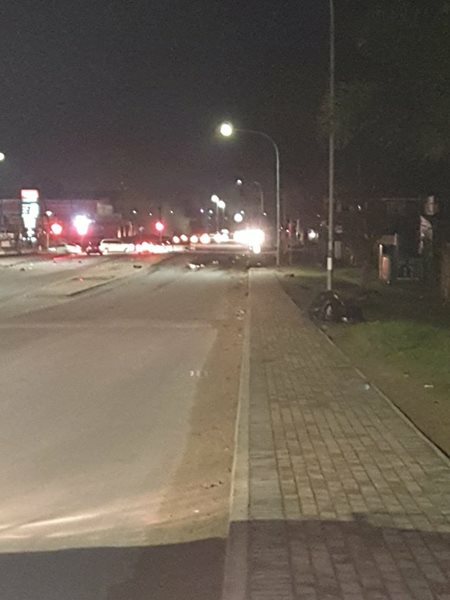 The protest action started in Thembalethu last night, when protesters set tyres alight at the Fourways intersection. A short while later, there were reports of stone-throwing on the N2. The cause for the protest action is not known.